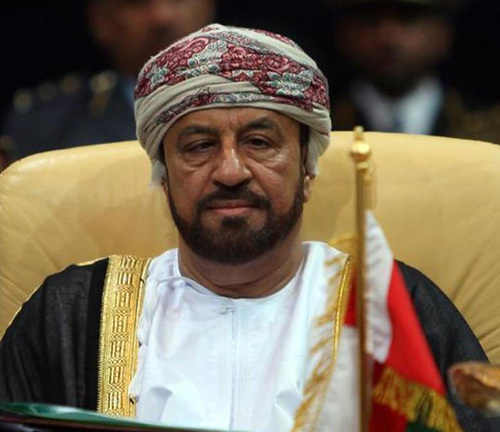 Sayyid Badr bin Saud bin Harib al-Busaidi, Minister Responsible for Defense Affairs in the Sultanate of Oman received a written message from Sheikh Mohammed bin Rashid al-Maktoum, Vice President of the United Arab Emirates (UAE), Prime Minister and Ruler of Dubai, inviting him to attend the International Defense Exhibition (IDEX 2019) due to be held in Abu Dhabi from 17 to 21 February 2019. This came when Sayyid al-Busaidi received in his office last week Mohammed bin Sultan al-Suwaidi, UAE Ambassador to the Sultanate. The meeting reviewed the strong fraternal relations binding the two brotherly countries and means of enhancing them, as well as discussing several matters of common concern. The Omani Minister separately received in his office Maria Fernanda Espinosa Garces, President of the United Nations General Assembly, who was visiting the Sultanate to deliver a lecture at the National Defense College. She commended the Sultanate’s role in supporting the international peace and stability in the Middle East and the whole world. She also praised the Sultanate’s efforts and noble stances in extending bridges of understanding and cooperation in various world countries. She also commended the wise leadership of His Majesty Sultan Qaboos Bin Said, the Supreme Commander of the Armed Forces, as well as the Sultanate’s strong cooperation and support for the UN efforts in cementing pillars of the multilateral international cooperation in various fields. The meeting exchanged cordial conversations and discussed a number of matters of common concern. The meeting was attended by Khalifa bin Ali al-Harthy, the Sultanate’s Permanent Representative to the United Nations and Major General Salim bin Musallim Quttan, Commandant of the National Defense College.